Designed with flair and stability in mind, a handsome, post modern hammock, suspended between four members. Italian by design, yet completely Australian in it's sylishness and practical, ergonomic good looks. The contemporary framework of laminated timbers and stunning sun umbrella all seem to defy gravity. Canvas hammock 400gm, polyester cover, a choice of cotton or canvas parasol. Sealed, anti-rust metal fittings are finished to endure a long life next to the sand and surf. 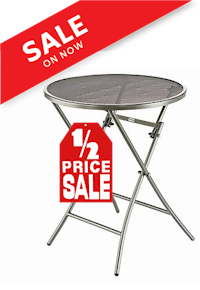 Arrives flat packed, 25cm X 25cm X 150cm, weight 25Kg Requires minimal assembly. Intelligent construct of recycled timber, fully dried and seasoned before being treated to a lamination process aimed at retaining integrity of structure under any sunny environment.